I Lava You Volcano Craft! 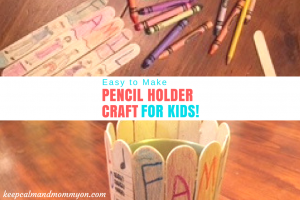 Are you looking for a creative craft for kids? 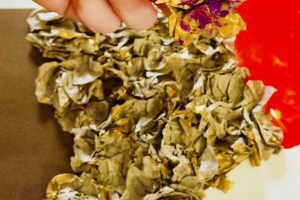 Are you looking for a great DIY gift idea for kids to make for Valentine’s Day, Mother’s Day or Father’s Day? 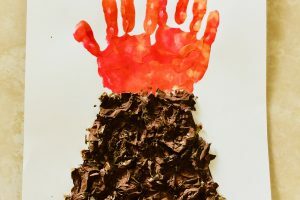 The I Lava You Volcano Craft is a fun, yet easy DIY craft idea! One of our (ok my;) favorite Disney short films is Lava. It is an adorable love story between two volcanos. One of the lines in the song they sing is “I Lava You!”. So based on this movie, the I Lava You Volcano Craft was created! This volcano craft makes a great gift for grandparents or parents. My son made this one for his grandmother for Mother’s Day. It would also be great for Father’s Day or Valentine’s Day as well! 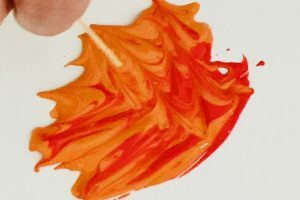 This DIY volcano craft is very easy to make and lots of fun! It also requires vey few ingredients. 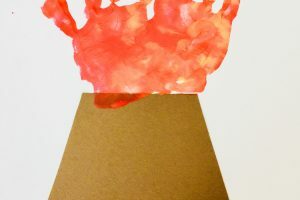 The first step in making the I Lava You Volcano Craft is to cut out a volcano shape using brown construction paper. 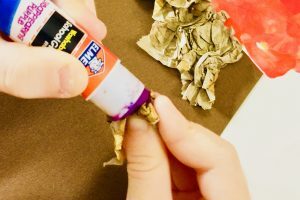 Using your glue stick glue the volcano onto a piece of white construction paper making the bottom of the volcano flush with the white construction paper. Next it’s time for the fun part! Pull out the orange and red paint. Squirt some of each color together on a paper plate. Next, using a toothpick, swirl the two colors together. 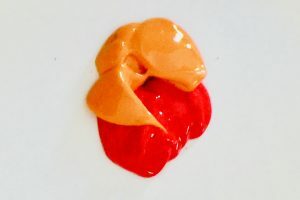 Don’t completely mix them, just swirl them together so that you can still see each color mixed together. Now it’s time for the part that your chid will love! Have them stick their hand into the paint. Be sure that each of their fingers and the palm of the hand is completely coated. Don’t make the paint too thick on the hand or the handprint won’t turn out clearly though. Press the ‘lava’ handprint down just above the volcano. 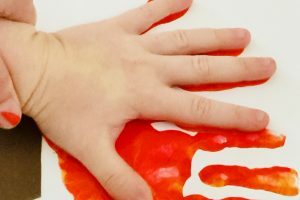 For young children you might have to help them push their hand down so that the full handprint is made. 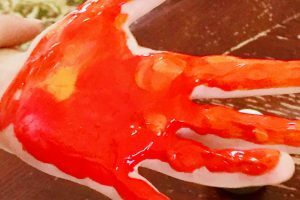 If the handprint isn’t close enough to the volcano let them use their finger with paint to fill it in. Repeat the process using the other hand. You want to use both hands so that the thumbs overlap. Now you have handprint lava coming out of the top of your volcano! Let your volcano craft sit until the lava handprints are dry. While it is drying get out the brown tissue paper. You can technically use any color tissue paper, we actually used gold. However, the brown tissue paper will be a lot easier to cover with paint! 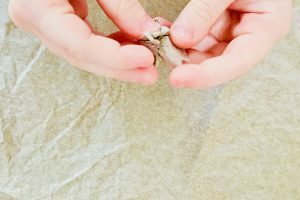 Tear off small strips and squares of tissue paper. 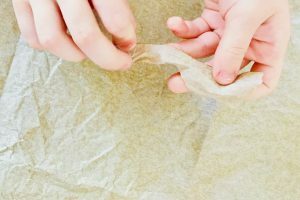 Scrunch up the torn piece of tissue paper. You don’t want it to be a ball, just crumpled up. 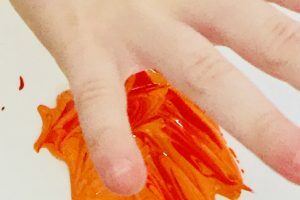 The purpose of the tissue paper is to give the volcano a textured look and feel. Tear off enough tissue paper pieces to cover the brown construction paper volcano. 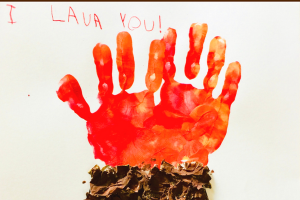 Once the lava handprints are dry, let your child use a red colored pencil to write ‘I Lava You!’ somewhere on the white construction paper. Next, using glue sticks, glue the crumpled tissue paper onto the brown construction paper volcano. 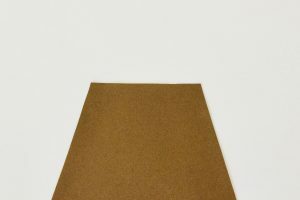 Place each of the pieces tightly together so that the brown construction paper is not visible. 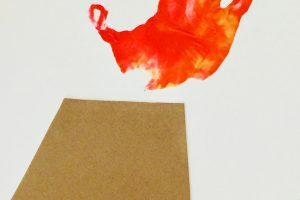 After all of the construction paper is covered in tissue paper, get out the brown paint. Using a paintbrush paint all of the tissue paper brown, giving the tissue paper a muddy look. Be sure to get in all the creases. And that’s it! Your I Lava You Volcano Craft is complete! 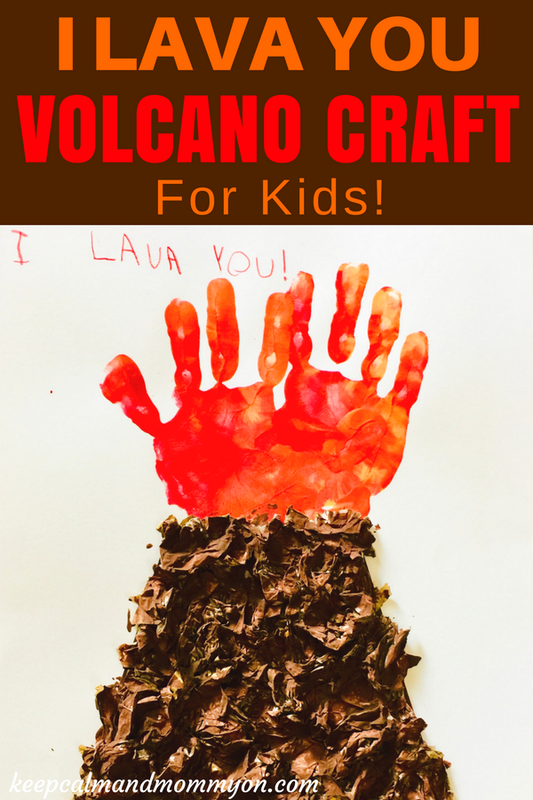 I hope you and your child enjoy making the I Lava You Volcano Craft as much as we did! « Button DIY Sensory Bottle!